5 days of Diwali is celebrated in many parts of the country. Read on to know the significance of 5 days of Diwali. After we are finished with cleaning our houses for Diwali, now its the time to prepare for this auspicious festival. Many follow the tradition of buying new clothes, utensils, gold, set up a new work place, renovate home with furnishing etc, as per one’s interests, beliefs and affordability. Loads of Diwali sweets and Diwali snacks do rounds in all the houses and the market. Dhanteras is the first day of celebration during Diwali, On this day, it is believed that the goddess Lakshmi came out of the churning of ocean and this day is marked as birthday of God Dhanwantri. This day is celebrated by lighting diyas, making rangoli and people decorate their house and offices by arranging lights. Shopping precious metals like silver and gold is considered auspicious on this day. Dhanteras celebrated by worshipping Goddess Lakshmi and God kuber and God Dhanvantri. Naraka chaturdashi is day two of Diwali. This is also called as choti Diwali or roop chaudas. It is said that demon Narakasura was killed by lord Krishna. On this day most of the people take bath with holy water and apply homemade scrub. In Hindu tradition it is believed the water kalash of Ahoi ashtami is used to take bath because it makes us more beautiful. It is on this day lord Ram along with goddess Sita reached back to his home Ayodhya after completing 14 yrs of forest exile. Diwali is one of the most important festival of Hindus. Diwali is celebrated by worshipping Lord Ganesh and Goddess Lakshmi. Generally people adhere to the auspicious mahurat for Diwali pujan . In all the hindu households the puja thali is prepared, the mandir is decorated with flower and lights. Mostly people do Diwali pujan at offices and factory as well. Many beautiful lights, diyas, lamps are lit on this day to welcome Goddess Lakshmi – goddess of wealth and wisdom. All the family members gather and celebrate this festival therefore this is a festival of togetherness. People burst different variety of fire crackers and fire sticks. The next day of Diwali is celebrated as festival of Goverdhan. Goverdhan is a huge hill which Lord Krishna lifted on his little finger and gave shelter to save the people of vrindavan from heavy rains, lightning and storm. On Goverdhan small figure of cow dung symbolizing Govardhan hill is made and decorated with flowers and then worshipped by family members by doing parikrama (circumambulating) around it.Prayers are also made to Lord Govardhan. On this day annakut is celebrated by preparing large variety of vegetarian food as offering to God and goddess. Goddess Annapurna the goddess of food is worshipped on this day. This is fifth day of Diwali celebration. On this day the sisters invite their brothers and prepare brother’s favourite recipes. On bhai dooj day generally sisters perform aarti for their brother and apply tika with kumkum on their brother’s forehead. Sisters pray for the wellbeing and prosperity of their brother and their families and some may exchange gifts like we do on rakshabandhan day. All the 5 days of Diwali is celebrated with tradition vigour and happiness. This Diwali we can pledge to save our environment and planet earth by celebrating a no cracker Diwali. Apart from religious significance, many believe in the spiritual significance of this festival. This is when we welcome light, not just in our houses, but also in our hearts, there by infusing the positive energy in our thoughts. 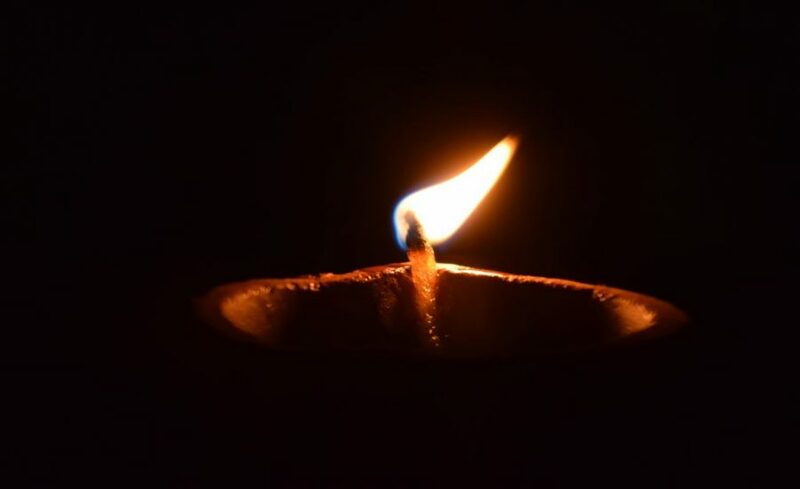 What are your thoughts on Diwali? I am MBA professional, a home maker, passionate about music, food and books. I believe perseverance and creativity can bring the outcome with smile. My strong will have guided me in various walks of life.